** Please note that all four corner squares will be the bottom left and top right floral fabric, as the top left/bottom right was sadly discontinued. I love babies! 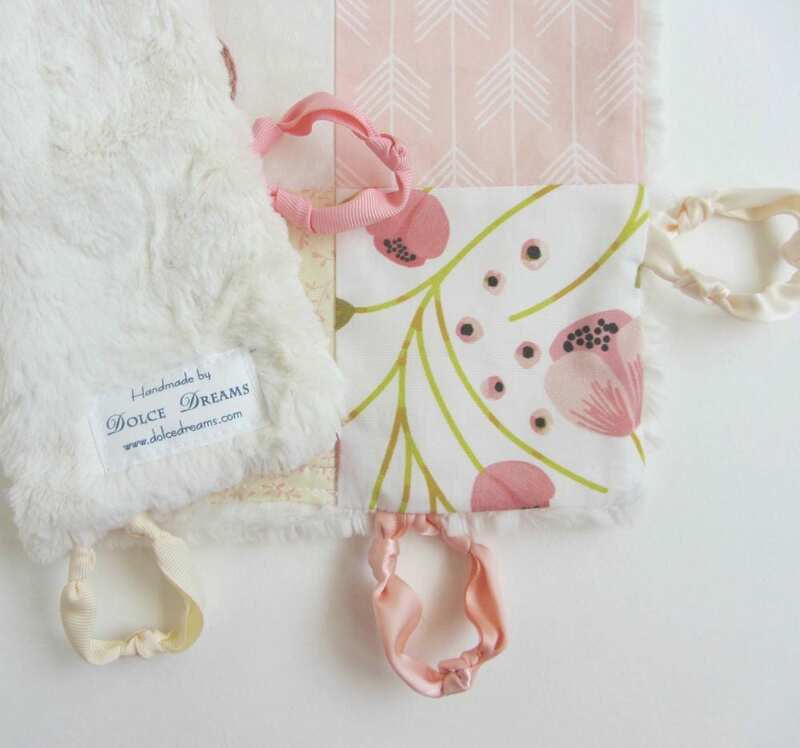 I created this lovey for little hands to snuggle and cuddle, and to bring comfort when needed. 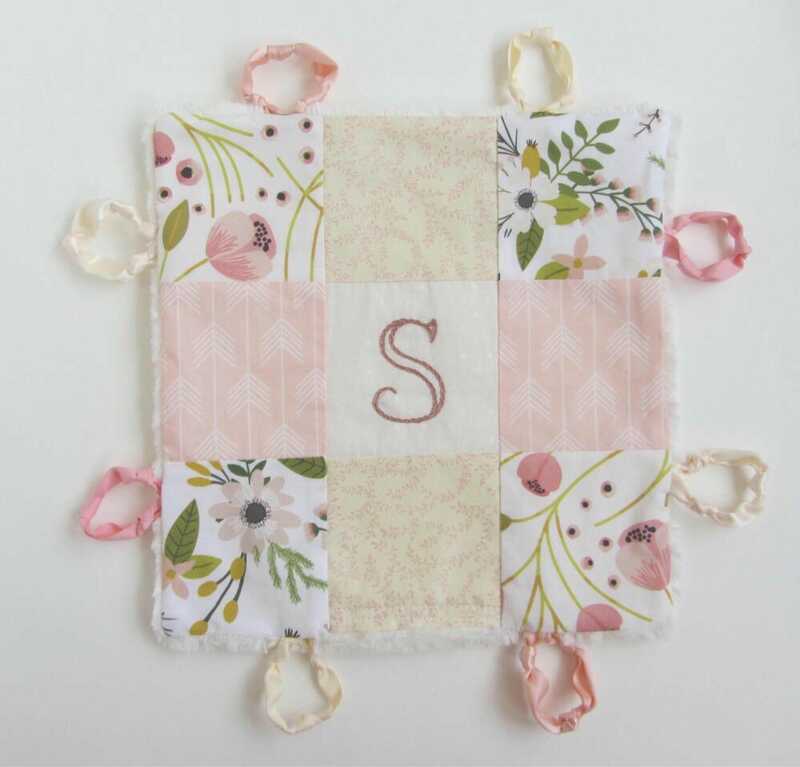 With gorgeous patchwork in beautiful designer fabrics,custom hand embroidered name or Initial, and satin and grosgrain circle knotties that babies love to finger and caress... the backing is a sumptuous white on white thick striped minky fabric. 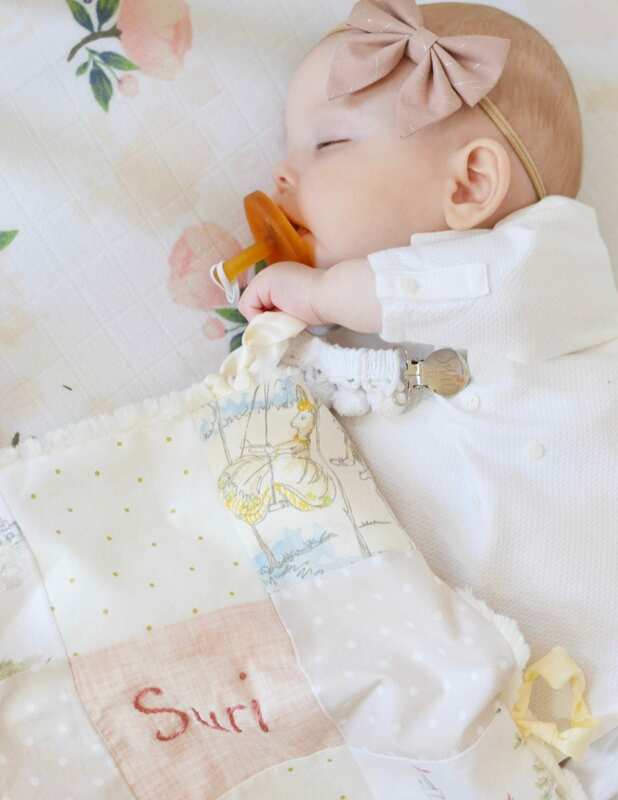 This is exceptionally soft and comforting, and every baby that has received one becomes attached immediately....Just take a look at the Feedback comments! * All fabrics are pre-washed and shrunk. 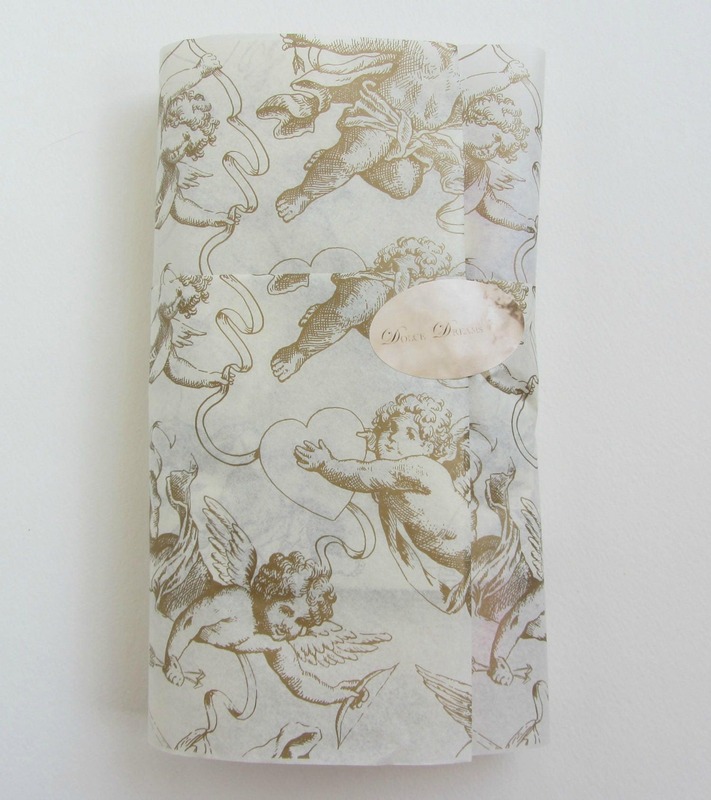 * Loveys are tied with ribbon and wrapped in tissue, ready for gift giving. Absolutely beautiful, as always. I don’t know what I’d do without these loveys. I buy them for every child I have, as well as for every child my friends and family have. Thank you, Nathalie, for being so reliable over the years and for making such a beautiful product. 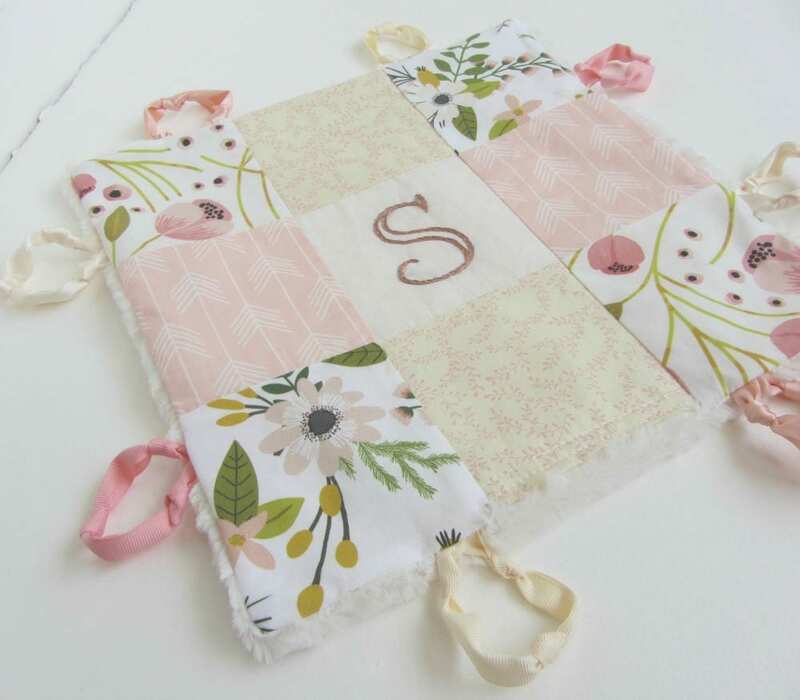 I have ordered almost 10 of these now as baby gifts, and have constantly heard that it was the favorite one received. Beautiful quality and gift-wrapping.